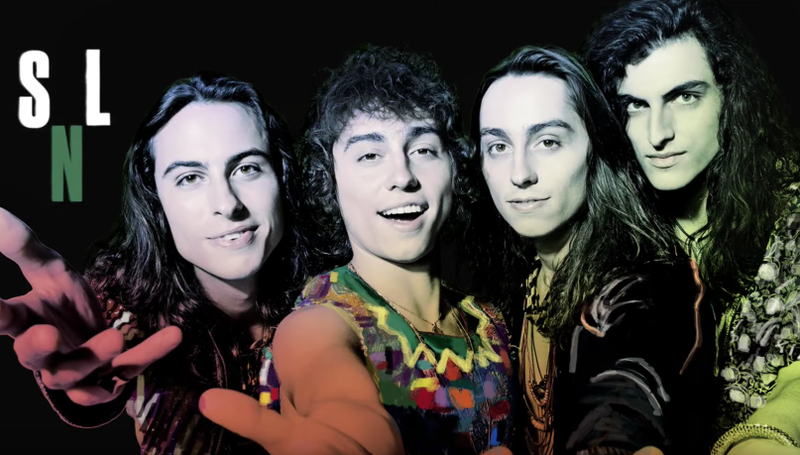 Greta Van Fleet rocked their debut on Saturday Night Live on January 19, and video from the NBC-TV late night program is streaming online. The rising band also earned a mention on the program’s Weekend Update segment, with Colin Jost saying, "Sunday night will bring a 'super blood wolf moon,' which is a rare lunar eclipse and not, as I had assumed, the name of the band that just performed on our show." The title track from their 2017 debut EP, “Black Smoke Rising” (which also appeared on a second EP, "From The Fires"), will compete for “Best Rock Song” at the 61st annual Grammy Awards in Los Angeles on February 10; it’s one of four nominations for the group, who are also among the finalists for Best New Artist, Best Rock Album (“From The Fires”) and Best Rock Performance (“Highway Tune”). Fresh off a series of US dates, Greta Van Fleet will next perform three shows in Japan this week before kicking off a tour of Australia and New Zealand. The band are on the road in support of their 2018 album, “Anthem Of The Peaceful Army”, which debuted at No. 3 on the US Billboard 200 last fall.